LAFRANCE Update and Introducing the New Drouin Institute Blog! The bimonthly LAFRANCE update was applied earlier this month. The additions pertain to the 1850-1861 period for Catholic baptisms and burials. You will find more information about the parishes that have been updated on this document. 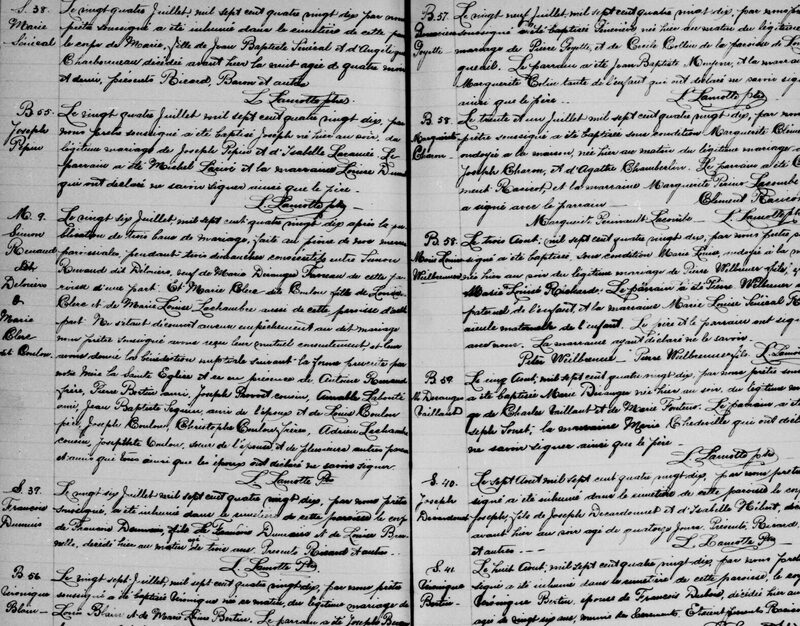 The LAFRANCE, one of 16 tools available to GenealogyQuebec.comsubscribers, is a detailed index with link to the original document of ALLCatholic marriages celebrated in Quebec between 1621 and 1916, ALLCatholic baptisms and burials celebrated in Quebec between 1621 and 1849 as well as ALL Protestant marriages celebrated in Quebec between 1760 and 1849. Baptisms and burials of the 1850-1861 period are added gradually through our bimonthly updates. We are happy to announce our new communication and content sharing avenue, the official Drouin Institute blog! In addition, we are working on a monthly series of articles pertaining to Quebec genealogy and demography. The author of these articles, Bertrand Desjardins, holds a Ph.D. in Demography from the University Lumière-Lyon 2 and is the author of numerous scientific publications centered on the study of the populations of Quebec and Canada. Here is a sneak peek of this new series! Over 20 000 death notices have been added to our free obituary section since our last update. This section contains Canadian obituaries ranging from 1999 to this day. Please note that this section has moved and can now be found under our main domain, here. Previous PostPrevious What is the PRDH-IGD?